When I was in my mid-twenties, *cough cough* years ago, I discovered a previously unknown passion for living on my own. I had initially gone from the family home to a few different living/roommate situations, and I had been quite happy doing this for several years. Eventually, however, my restlessness and dissatisfaction in living in another person’s home started to build, until I finally decided that it was time to move out on my own. I took great pleasure in researching the new area in my city in which I wanted to live, viewing available apartments alone or with friends, and building a budget that could enable me to afford living on my own for the first time. Despite several setbacks, including a miniscule 0.01% vacancy rate in my city at the time, I was able to secure a cozy, well-built little 1 bedroom basement apartment. It was on the extreme edge of the neighbourhood in which I desperately wanted to live, and it required a 10 minute uphill walk to the nearest bus-stop, but I didn’t care. I filled my room with packing boxes, cheerfully shanghaied friends and workmates to help me move into my new abode, and started settling into my new district. I took great pleasure in exploring every inch of it I could reach by walking and taking public transit, and I hosted the occasional party, get-together, and sleep-over in my new home. For the summer and autumn months, I had an absolute ball; I really enjoyed my new-found liberty and freedom to do what I wished, when I wished, and how I wished. But then the days got shorter and the nights longer, the wind grew blustery, leaves started to fall, and the cold, wet winter set in. My formerly busy social calendar dwindled to near zero; nobody wished to stir out of doors other than to perform essentials like work and grocery shopping, and certainly not to visit little old lonely me. Nor did I wish to mush my frigid, under-dressed carcass over to others’ homes (I was too poor to afford proper winter boots). I knew any excursions would end with a looong, steeply downhill walk in the dark from the bus stop to my tiny, chilly, tv-free basement apartment. What was once my sanctuary but had started to feel like a prison cell. That was when I started to drink bake. I had always enjoyed cooking, but had at that point not really done much baking at all. 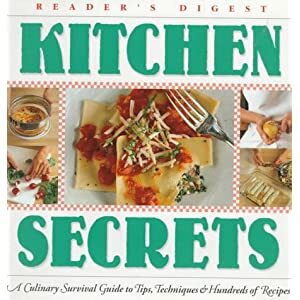 In desperation to be doing something even quasi-cheerful during those cold winter nights, I started going through my cookbook collection, choosing recipes that were easy and cheap to make with not too many ingredients. I’d then bring the results of my efforts to my workmates the next day, to their everlasting appreciation. One of these recipes was a banana-based quickbread studded with apricots, other dried fruit and aromatic spices that I tweaked and fussed with until I was satisfied with the final product. For some reason, I was only inspired to make this bread whenever I was particularly sad, hence the name I gave it, Sorrow Bread. I always felt better after I pulled the fragrant and tender loaf from the oven, and the groans of pleasure I received from my coworkers who got to share the results of my efforts always cheered me up as well. I don’t know if by making this quickbread you too will have your sad days lightened, but it’s always worth a try! Preheat oven to 350˚F. Ensure rack is in middle position. Grease a 9”x5”x3” loaf pan with butter or pan spray, and dust with all-purpose flour. Whisk together all dry ingredients until well-combined and set aside. In a small bowl, combine bananas, buttermilk and vanilla extract. Cream butter with electric or table top mixer at moderate speed until soft and lightened in colour. Gradually mix in the sugars, beating well after each addition. Add eggs, 1 at a time, combining well. Slowly mix flour mixture into butter-sugar mixture, 1/3 at a time, mixing only enough to incorporate. Batter will be lumpy. 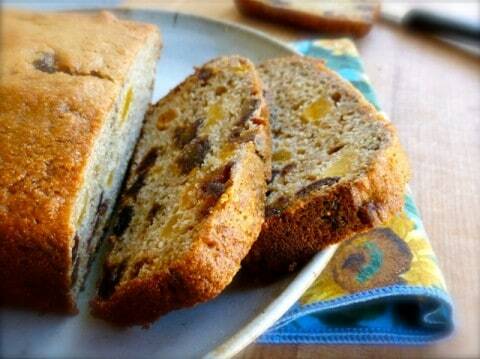 Incorporate banana mixture into batter gently, then fold in chopped dried fruit and ginger. Scrape into prepared pan and bake on middle oven rack for approximately 50-55 minutes. Test with a toothpick in the centre of the loaf to check for doneness. Cool in its pan on a cooling rack for 10 minutes, then loosen around the edges and turn out on the rack to cool completely before slicing. Feel free to substitute some ingredients, like the spices for ones more to your liking, or sub in 1/2 or all of the white flour for whole wheat. The dried fruit is totally up to your preference; just be sure to adjust the spices to match the flavours! Recipe Post: Slow Loris Chili Con Carne…erm, I mean “Slow Cooker…”! amateur cake baker. professional gin drinker.